Brief reflection on the Baptism of the Lord. “Then Jesus appeared: he came from Galilee to the Jordan to be baptised by John.” (Mt 3:13). And what do we see? We see John bewildered that Jesus is coming to meet him, and not understanding why he asked himself: How can He who is without sin come to receive the baptism of penance? 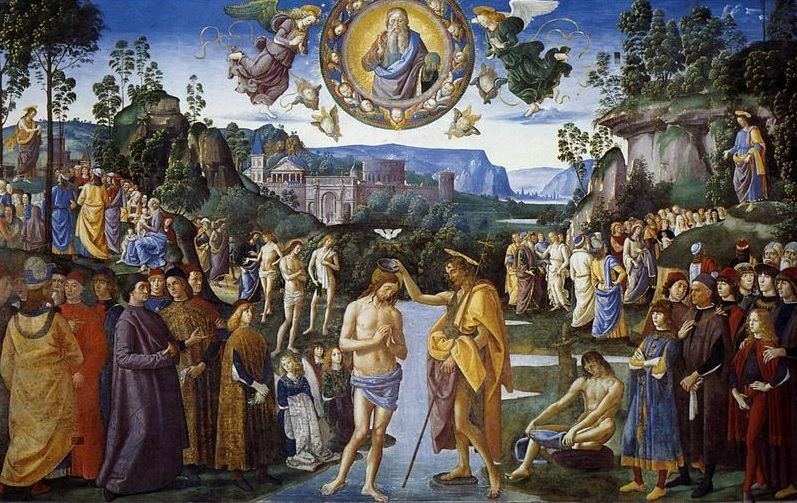 “It is I who need baptism from you, and yet you come to me!” (Mt 3:14). Yes, God joins men, walks among men, sits at the table with sinners. Jesus responds promptly to John: “Leave it like this for the time being; it is fitting that we should, in this way, do all that righteousness demands.” “Then John gave in to him.” (Mt 3:15). The “righteousness” of which Jesus speaks to John is that of obedience and free response to the Father’s plan. In Jesus, the word “justice” is thus – according to Benedict XVI – “the unlimited ‘yes’ to the will of God” (Benedict XVI, Jesus of Nazareth). Other meanings can be derived from this Trinitarian event, from this extraordinary manifestation of the love of God in the Baptism of Jesus: solidarity with sinners, purification of water as a prefiguration of the true baptism that the apostles would minister in Jesus’ name, preparation for the baptism of the cross (cf. Luke 12:50), emptying Himself to become like men, to give life for them, to overcome evil and death, to glorify the work of the Father. Theologically and spiritually, Jesus’ gesture of Baptism also symbolizes: immersion as descent into the hell of man’s sin; water as a sign of fruitfulness and motherhood as a symbol of the maternal womb of the Church (Benedict XVI, Feast of the Baptism of the Lord, 7 January 2007). Following the prayer of Jesus – witnessed by John the Baptist – after the heavens are opened and the Holy Spirit descends upon Him, the Father calls Him the “beloved Son”, revealing the face of the Holy Trinity and the way the divine people relate, everything will reflect in the intimacy and harmony with which Jesus will live his mission in the midst of men and with men (Mt 3: 16-17). The Baptism of Jesus marks the beginning of His mission and works: “Christ is baptized, the world is made holy; He has taken away our sins. 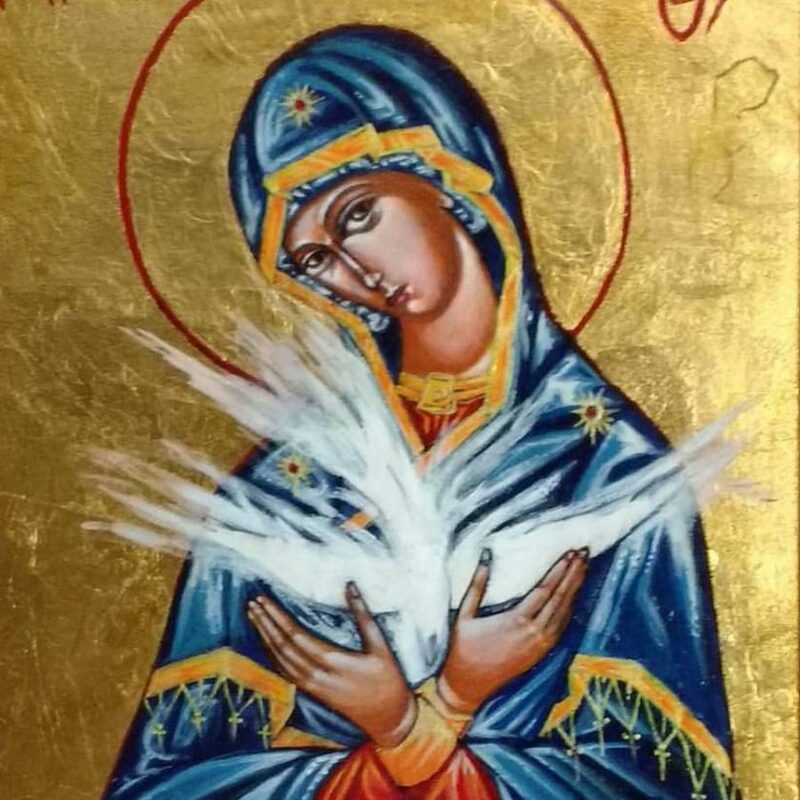 We shall be purified by water and the Holy Spirit” (Prayer of the Morning. Feast of the Baptism of the Lord, Antiphon of the Gospel Song). Such should be our joy and gratitude to the Lord for such a precious work in our lives, fruit of His faithful love to the will of the Father and to every man.